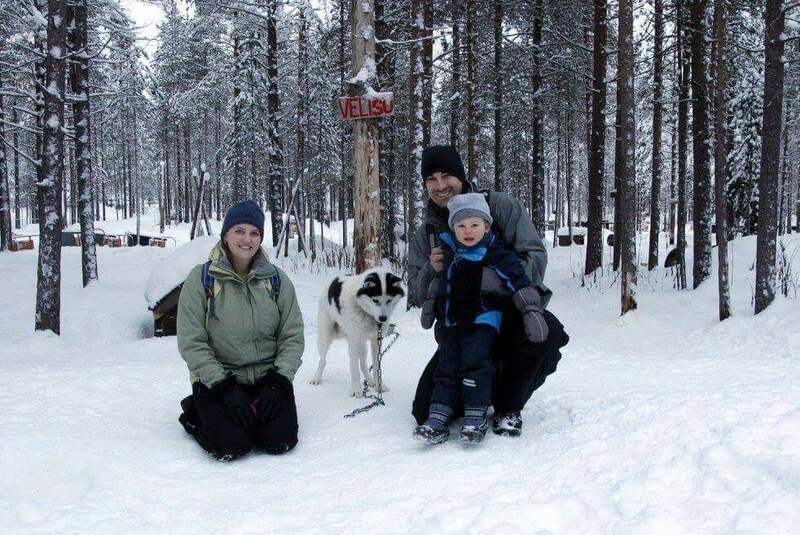 Dog sledding in Lapland with kids is something you should consider if you vacation in Finland. There are many companies that allow children to book a tour. 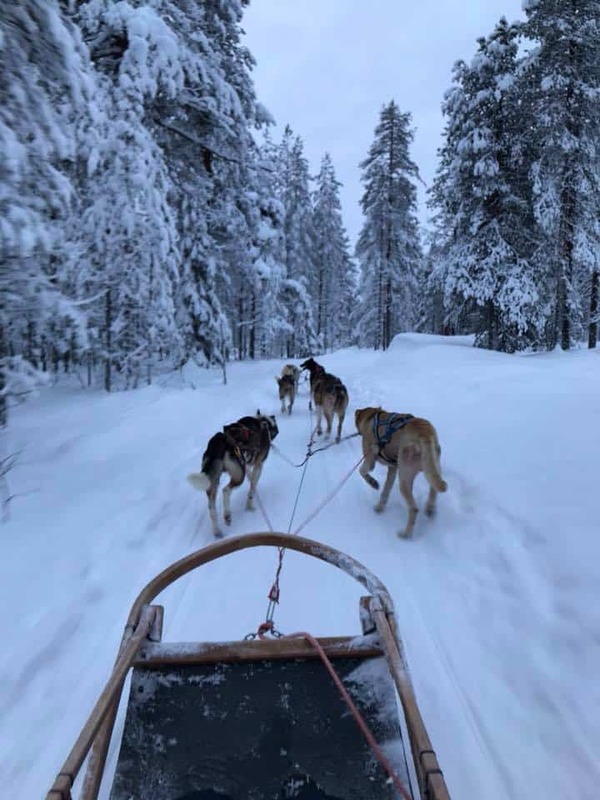 We booked the 3km Family Safari husky ride through Lapland Safari. Check out the specific tour here. Since we had checked out of the Santa Claus Holiday Village, we stored our luggage in the car and parked close to the tour operators office in Rovaniemi. The benefit of booking through a tour operator is the winter clothing that is included. They have everything from snowsuits, hats, gloves, boots and more. All sizes, including children. We knew our gear was high quality and warm, so we declined to borrow any of the gear. Once you “suit up”, you head outside to the waiting and heated bus. Once everyone is loaded, you head out to the Husky Ranch. We were given a quick set of instructions on how to drive the dogs and the correct distance to follow. Then they set everyone up with the appropriate sled and correct amount of dogs to pull the weight. 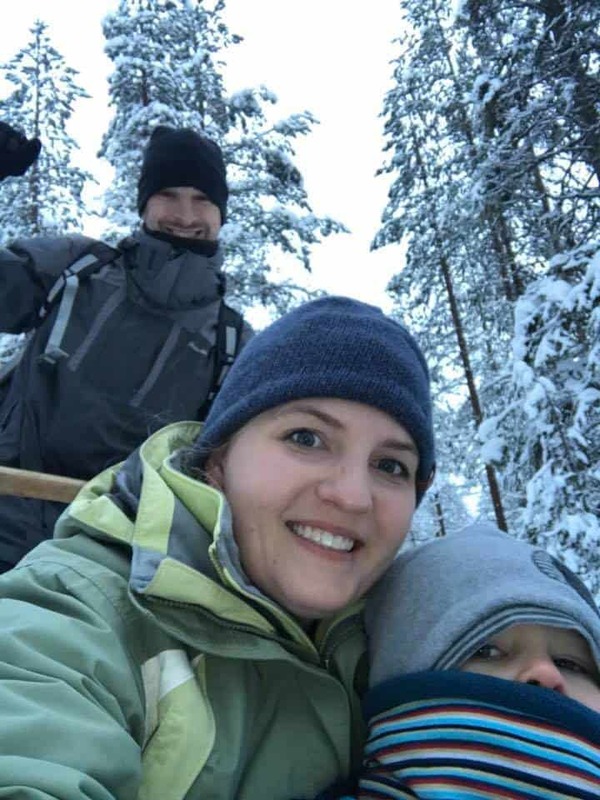 We were allowed two adults and one small child in one sled. Make sure you read the website to determine the groupings. My husband and I had already decided that he would drive and I would just enjoy the ride with our son. The ride was smooth and the dogs were very excited, barking as they ran. My husband said it was easy to control the sled and he enjoyed doing the driving. He spent about 20 minutes driving, but it wasn’t a consistent speed. We had to stop due to another sled team having difficulty and to make sure the group stayed together. I would have liked to go on a longer ride, but this gave us a taste of dog sledding and we enjoyed it. With little ones, you can never tell how well they will do. If you have older kids, I’d opt for a longer ride. After the sled ride, you can visit with the dogs before you head into a heated building to enjoy warm berry juice and biscuits. The head musher will talk to you about the animals and the history of dog sledding. You can also visit the husky puppies and take photos with the dogs. Lapland Safaris offers many different tour packages. They were well organized and the gear looked well cared for. If you are looking for other tours, I would recommend this company. If you want to see more about our Lapland adventure with kids, click HERE. Or if you want to see other countries we’ve traveled to with our son, head over to our interactive map to explore the world. Thank you. thank you for this write up! 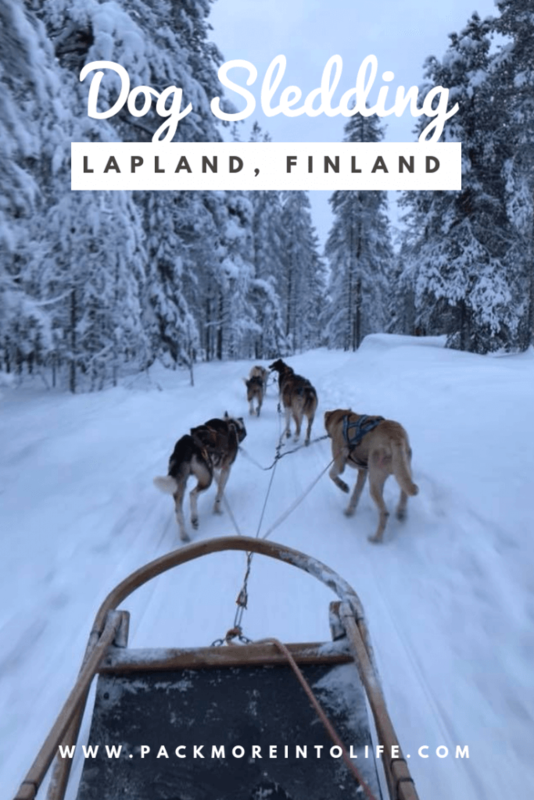 We used it to plan our trip to Lapland, and it helped tremendously! The train details were crucial in mapping out the logistics. Thanks so much for all the time you put into your write ups! I’m so glad it was helpful in your planning! I hope you had a wonderful trip!